Jon Balsbaugh’s photo, taken in Missouri, reveals some of the dramatic lighting effects caused by the eclipse. 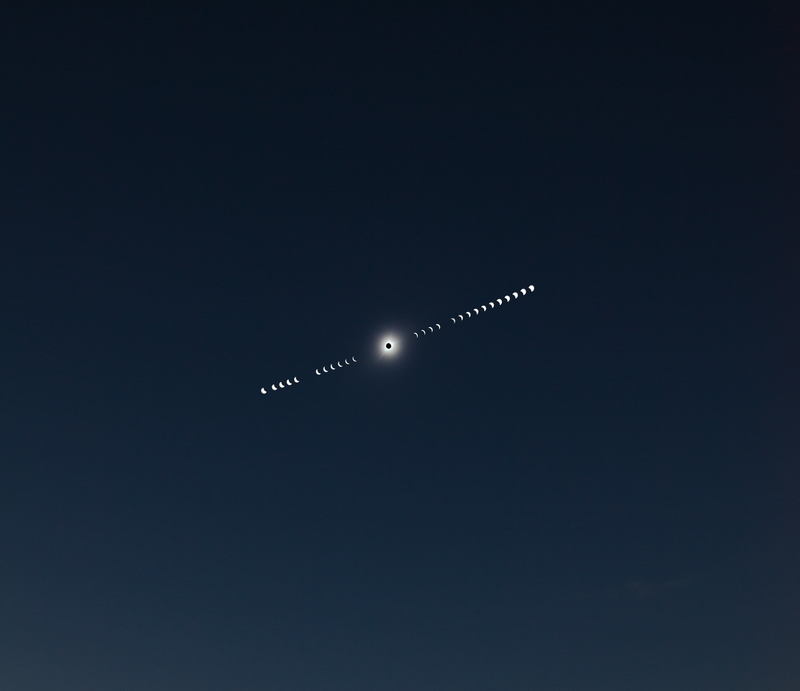 On Monday, August 21, a total solar eclipse, in which the moon completely blocks out the light from the sun, was visible for a 70-mile-wide swath of land which cut across the US from Oregon to South Carolina. Mary Timler and the Evansville missionaries ventured down into Kentucky to get a better view. 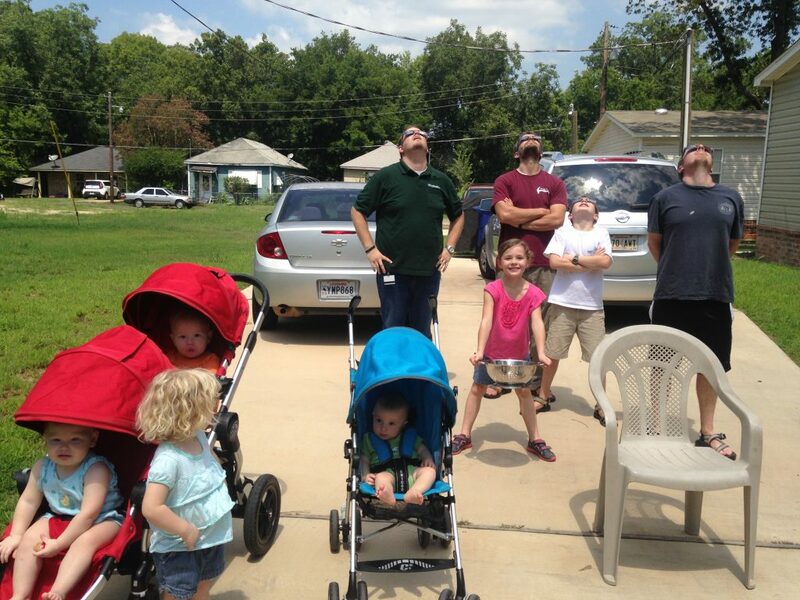 As the angels said to the disciples, “Why are you standing there looking up at the sky?” (In this photo taken by Jeanette Duddy, brothers and sisters in Allendale view the eclipse). A partial eclipse was visible everywhere in the US, Canada and the Caribbean, where projections of the eclipse could be seen coming through the leaves of trees and household objects like colanders, or by using special eclipse glasses to look at the sun directly. Some members of the community took the opportunity to travel to the path of totality. 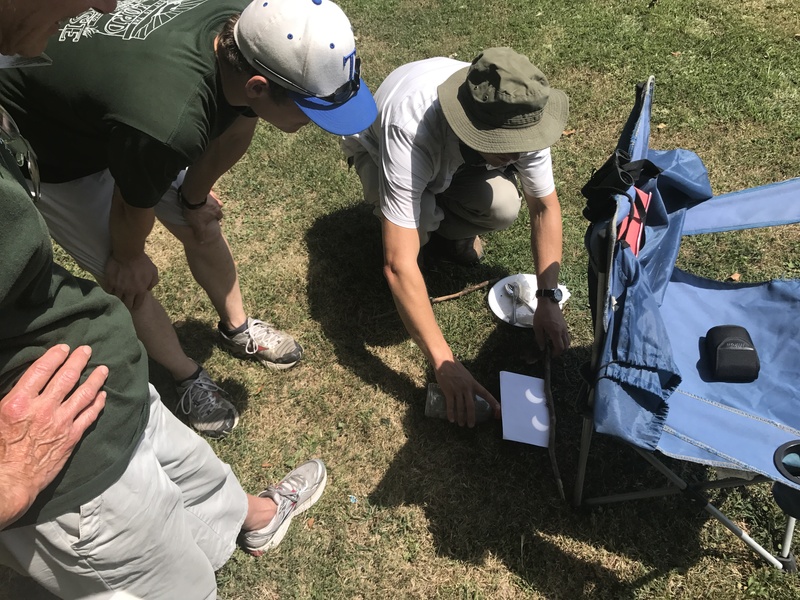 The senior class from Trinity School at River Ridge, along with numerous parents and faculty members, took a two-day trip to Saint Joseph, Missouri, where they watched the eclipse from an airport alongside people from 5,000 cars. Mission Program Coordinator Nick Holovaty, who traveled to Marion, Kentucky, with other members of the Evansville new start as well as some guests, said, “I’ve been reflecting on how awesome it was, but at the same time it was just so quiet. Except for two minutes and 30 seconds you might not have even noticed. It seems to me that there’s something in it like a parable of how the Lord relates to us. It was this amazing, awe-inspiring thing, but it was very quiet. He doesn’t force himself on you. 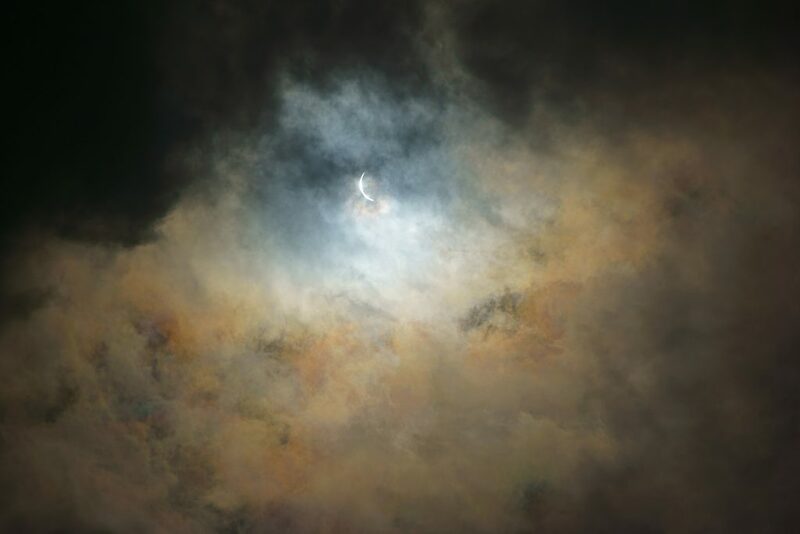 It seemed like there was something of the Lord’s personality in it.” We hope you’ll enjoy these photos of the glory of God in the sun, the moon, the clouds, the shadows of the trees and the brothers and sisters taking it all in. 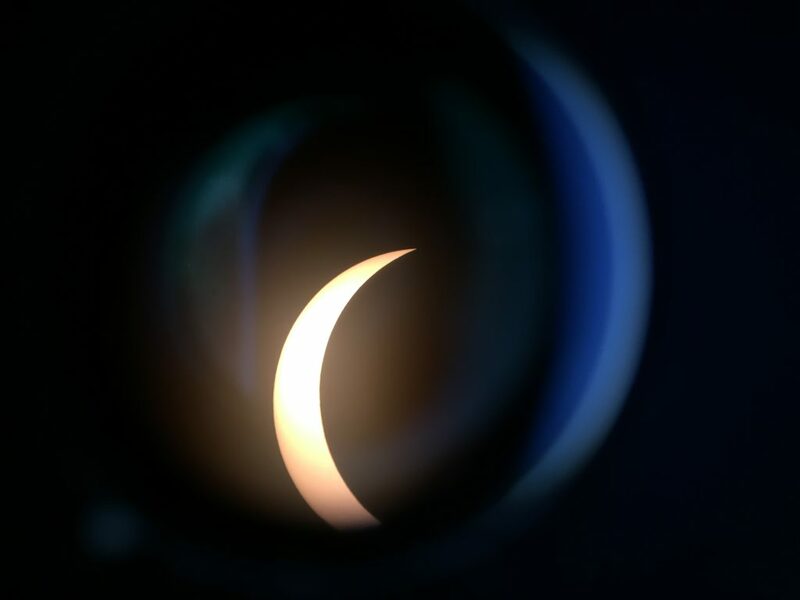 Annie Bulger used Doug Beebe’s telescope to capture this picture of the eclipse. Craig Lent took this time-lapse photo from a field in western Nebraska after he drove six hours in search of clear skies. 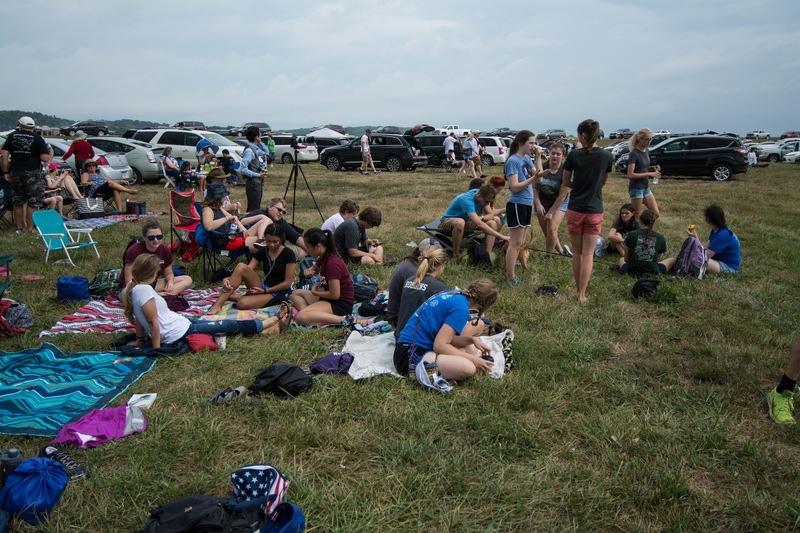 Tom Bowar took this picture of his fellow travelers from the group of 85 students, faculty and friends who came from Trinity School at River Ridge to Rosecrans Memorial Airport in Missouri to experience totality.